With a lot of people wanting to look younger than their actual age, it isn’t surprising to find tons of skin care products offering promising anti-aging solutions. The latest beauty trend to hit the market involves the use of copper peptides in serums. If this is the first time you’ve heard about it, make sure that you know what makes the best copper peptide serums before buying one. This list of products can surely set you on the right track. 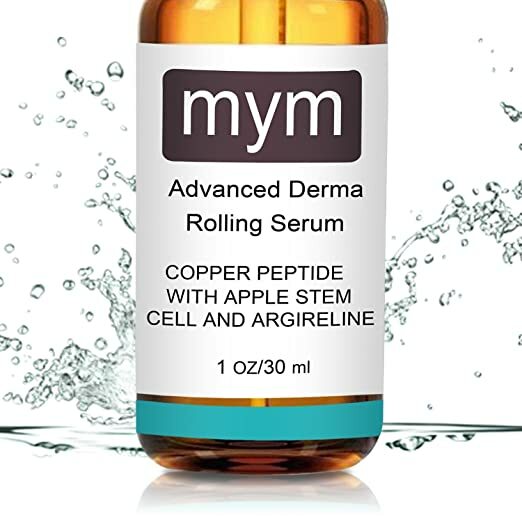 MYM Copper Peptide Serum With Apple Stem Cell and Argireline is packed with three potent ingredients to improve your skin's overall health. It doesn't only address wrinkles, but it can also reduce freckles and hyperpigmentation. It's known to deliver visible results in just weeks. However, if you have highly sensitive or oily skin, we suggest skipping this product. Skin Perfection Copper Peptide is helpful in diminishing fine lines, crow's feet and other signs of skin aging. However, in case you decide to purchase the product, it's essential that you know what it really is. This product is intended to be added to your anti-aging serums and creams. Failure to follow the instructions correctly can limit its effectiveness. If you have the money to spend on your skin's health, then you might want to consider NCN Pro Skincare GHK-Cu Copper Peptide Serum With EGF. It comes in a spray form. For the price, you'll get a potent combination of Epidermal Growth Factor and copper peptide. You can actually feel its tightening effect after applying the product. Get yourself ready for the best copper peptide serum reviews we prepared for you below. Because it contains three potent ingredients, this serum can’t only address aging skin, but it can also help you improve your overall skin tone. It can reduce fine lines, improve rough skin and reduce freckles as well. Its Argireline content helps reduce the appearance of your wrinkles while preventing new ones from forming. Its apple stem cell content, on the other hand, decreases the depth of your fine lines. Aside from these two ingredients, the product boasts 30% Copper-3 peptide content. It’s potent enough to stimulate your skin to produce more collagen. Most people who have tried the product have seen improvements in the skin in just a short amount of time. Their wrinkles were less visible and they looked more glowing and healthy. The serum is a bit golden in color and has a distinct scent. It goes on smoothly on the skin and gets absorbed fast. A few people apply the product after using their derma rollers. They claim that it helps plump up their skin. If you have oily and acne-prone skin, this serum may not be the right fit for you. In fact, there are users who experienced breakouts and irritations from using it. If you are the type of person who always want to make sure of the things you put on your skin, then this product is right for you. Skin Perfection Copper Peptide is not the typical serum you’d find in the market. This product contains copper peptides which you can use in creating your anti-aging serums or you can add it to your favorite creams. It’s perfect for people who like making DIY skin care products. When used correctly, it can help address your fine lines and crow’s feet. In fact, a lot of users who’ve read and followed the instructions saw noticeable changes in their skin. A few of them added the product in their night creams. There are others who added it to their favorite serums and applied it day and night. To get the best of the product, it’s essential that you read its description and instructions carefully. There were a handful of users who failed to see any difference in their skin because they weren’t able to understand what the product really is. This serum is considered effective in addressing both damaged and aging skin. It contains a special formula of copper peptide and Epidermal Growth Factor which is essential for skin repair. The product is effective in firming up the skin and exfoliating dead skin cells. It also boosts the production of elastin and collagen. Users like that they can actually feel a tightening effect after applying the product. They also like that they were able to see results in a matter of weeks. One downside of the product is its expensive price. Because it isn’t cheap, you can consider as a luxury investment. Copper peptides offer tons of benefits without the risks associated with being exposed to high levels of copper. Also, because they are minute, they are able to penetrate the skin deeper. It increases healing and remodeling of the skin. It promotes the breakdown of abnormally constructed collagen, such as in scars and wrinkles, while stimulating regular collagen formation. It prevents or limits the damages of the daily wear and tear of the skin, including UV rays, pollution and oxidative stress. It slows down the signs of skin aging. It can reduce the severity of scars. While copper peptide serums do offer a lot, not all people can benefit from it. A person who uses such serum to address acne scars may see improvement in his skin but another person who has an oily skin type may experience breakouts and increase oiliness. One of the reasons for this is that copper peptide tend to stimulate oil production. On a similar note, we also don’t recommend adding this serum to your existing skin care routine if you are currently having treatments for your acne. If you think the product will benefit your skin more, it’s wise if you can consult professional advice first. We also suggest not using the serum on your entire face right away. As with any new product, it’s recommended that you do a sensitivity patch test first. When buying a copper peptide serum, it’s important that you read its label thoroughly. Some of its active ingredients can increase your sensitivity to UV damage. Make sure to compliment the serum with good moisturizer with SPF, particularly if you’re frequently outdoors. Rashes and redness are common side effects of the serum. Assess these reactions with caution. Since it still contains copper, we recommend using the product in moderation. If you experience any dizziness, stop using it right away. In case the reaction is too severe, it’s best if you can seek medical help right away as it can mean excessive copper exposure. Consult your dermatologist if you have any doubts with the product. Aside from medical advice, he can also assess if you are fit to use copper peptide serums. In this review, MYM Copper Peptide Serum is our top choice. Aside from its potent copper peptide content, it also has apple stem cell and Argireline. We particularly like that for its affordable price, it can do a lot for your skin. Aside from anti-aging properties, it can also help repair freckled and hyperpigmented skin.